Planting InstructionsPlant at soil level, addition of organic matter and Advanced Formula Plant Food will enhance first year growth and blooming. Winter CareMulch is recommended for northern zones 3 and 4. Remove early in the spring before growth starts. Flower FormShowy racemes or spikes. Foliage TypeSmall, delicate, finely serrated. 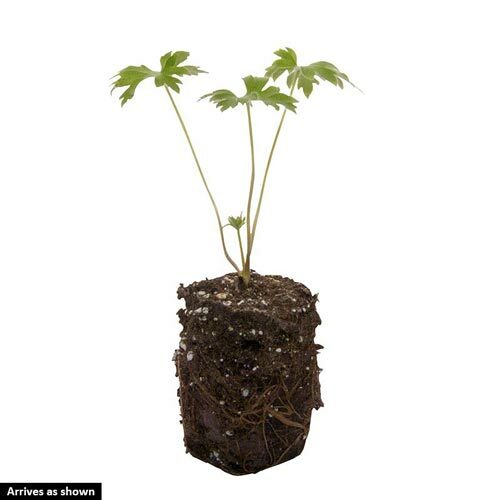 Soil RequirementMoist, well-drained prefers organic soil with high fertilization. 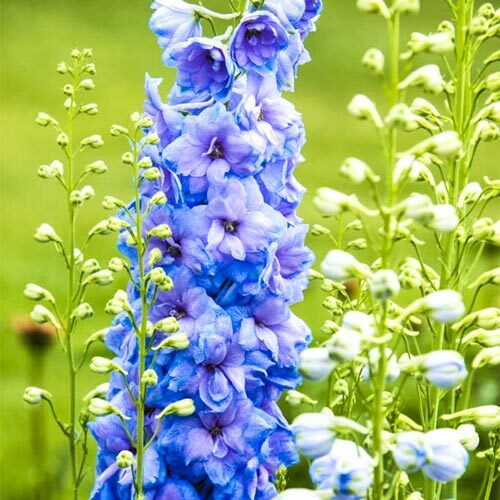 Unique CharactersticsPerennial Resource: Densely packed spires of true sky blue flowers with a touch of lavender pink are presented on very strong stems in early summer. Removing spent flower spikes will result in another round of blooms on secondary spikes in late summer and fall. 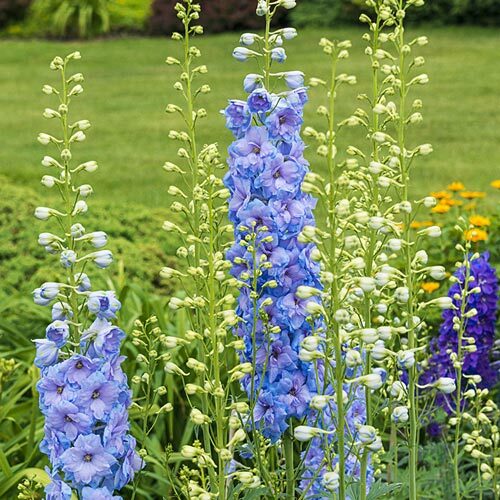 Its large, deeply incised leaves make this plant attractive even when it's not in bloom.The English hybrid type of delphiniums are bred by Dowdeswell's Delphiniums in New Zealand and are hand crossed to produce the highest quality seed. These F1 hybrids have excellent form, strong stems, and a vigorous growth habit. They were selected for their improved tolerance of heat and humidity, while retaining their cold hardiness.